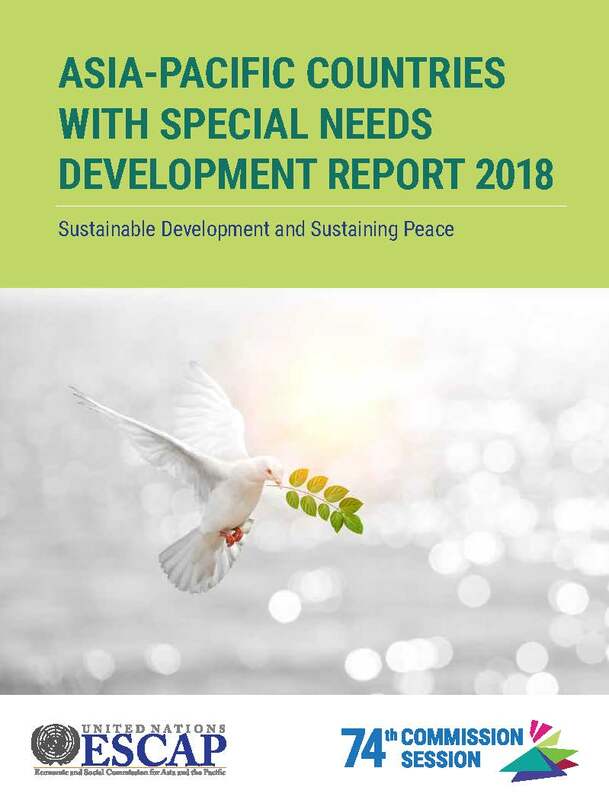 The Asia-Pacific Countries with Special Needs Development Report 2018 highlights the importance of sustainable development and sustaining peace for the Asia-Pacific least developed countries, landlocked developing countries and small island developing States, collectively referred to as “countries with special needs”. In exploring the multidimensional links between peace and sustainable development, the report underlines the fact that conflict risks in countries with special needs are rooted in a variety of factors, ranging from poverty to inequalities of opportunities, resources, migration and climate change. At the same time, these countries exhibit limited capacities to cope with conflict risks. They are hence more susceptible to conflict than other developing countries in the region. Since risk factors are multidimensional, risk mitigation must also be multidimensional in nature. The report therefore calls for an integrated pursuit of economic, social and environmental policies for sustaining peace and ensuring that development is sustainable. Investing in basic provisioning of public social services, promoting social cohesion and diversity, and providing equal opportunities across different ethnic groups are examples of policy responses and interventions discussed in the report. Essentially “there can be no peace without sustainable development, and no sustainable development without peace”, as the preamble of the 2030 Agenda for Sustainable Development reminds us.